O God, we humbly beg You, should it be Your Holy Will, that Blessed John of Vercelli Your glorious apostle of the Holy Name, be raised to the honors of the altar, to make known Your will by heavenly favors through his intercession. John Garbella (Blessed John of Vercelli) was born near Vercelli in northwest Italy in the early 13th century. Little is known of his early life. He entered the Dominican Order in the 1240s and served in various leadership capacities over the years. Elected sixth master general of the Dominicans in 1264, he served for almost two decades. Known for his tireless energy and his commitment to simplicity, John made personal visits-typically on foot-to almost all the Dominican houses, urging his fellow friars to strictly observe the rules and constitutions of the Order. He was tapped by two popes for special tasks. Pope Gregory X enlisted the help of John and his fellow Dominicans in helping to pacify the States of Italy that were quarreling with one another. John was also called upon to draw up a framework for the Second Council of Lyons in 1274. It was at that council that he met Jerome of Ascoli (the man who would later become Pope Nicholas IV), then serving as minister general of the Franciscans. After a period the two men were sent by Rome to mediate a dispute involving King Philip III of France. Once again, John was able to draw on his negotiating and peacemaking skills. Following the Second Council of Lyons, Pope Gregory selected the Dominicans to spread devotion to the name of Jesus. John took the task to heart, requiring that every Dominican church contain an altar of the Holy Name; groups were also formed to combat blasphemy and profanity. Even though the Confraternity of the most Holy Names of God and Jesus was not canonically recognized until the 1500's, Blessed John's effort to promote devotion to the Holy Name of Jesus throughout the entire Church make him the patron of the Confraternity of the most Holy Names of God and Jesus. The St. Brendan Holy Name Society was founded in 1964. At the parish level we actively make the effort to promote a spirit filled community and continually assist the school and parish as needs we can help with arise. The Spiritual Director of the Society is the Pastor or his delegate. Any parishioner over the age of 18 may become a member. A parishioner may join by using the Holy Name dues envelope (May envelopes) or by calling the Parish Office for the name of the President. The Holy Name Mass is held on the second Sunday of each month and the General Meeting is held on the second Monday of each month. Each year a Lenten Retreat is held in March for Holy Name members/guests and includes HN members within our diocese. A HN member represents our Society at meetings of the Northwest Deanery and Cleveland Diocesan Union of Holy Name Societies. The "Apostleship of Prayer" leaflets (prayer intentions of the Pope) are furnished by HNS to the entire parish every year. Members of HNS serve at parish funerals. Deceased HN members are remembered in a special mass in November. HNS contributes to the "Father Murray' scholarship fund and provided the plaque of Father in the church entry way. Monies raised at any of our fund-raising events go to help the school/church with special projects or needs. Dues also help with on-going expenses. First Communicants receive a gift from Holy Name. Each Confirmandi receives a remembrance from Holy Name. HNS sponsors a "Christmas Door" decorating contest for the school and each of the two winning classes get treated to a pizza or ice cream party. The 7th and 8th grades classes visiting Borromeo Seminary are treated to lunch by the Holy Name. HNS presents an engraved plaque to the Grade School and High School Mass Server of the Year, New server robes were purchased by HNs. 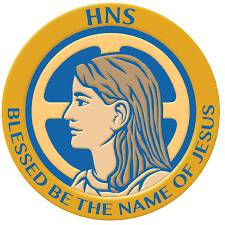 HNS sponsors the Religious Emblem Program for our parish Scout 630 Pack, Troop, and Venture Crews. HNS has supported the Youth Group, Vacation Bible School, ad for the school play, Give a Christmas, and Mornings with Mom and Dad. The Society has contributed $5000 to start the new Science Lab and has made contributions toward technology and computers. The Society has also purchased the ice maker for the kitchen, a copy machine, and, the lettering for the Kenny Center (The John F. Kenny Center). The Holy Name Society is sponsoring a Fall Craft and Vendor’s show just in time for Halloween, Thanksgiving and Christmas! Several crafters and vendors will be displaying their work in the Kenny Center on Saturday, October 27, from 10:00 A.M. - 3:00 P.M. Come enjoy a day of shopping for your best bargain, beautiful handcrafted items, special occasion gifts, or that unusual and unique item you have never seen before! And, it is not too early to start shopping for those Christmas gifts!!! We will also be inviting our parish organizations to participate by sharing their ministry with pictures and/or flyers at a table. to reserve a table, please contact Christie Kort at the same email address.